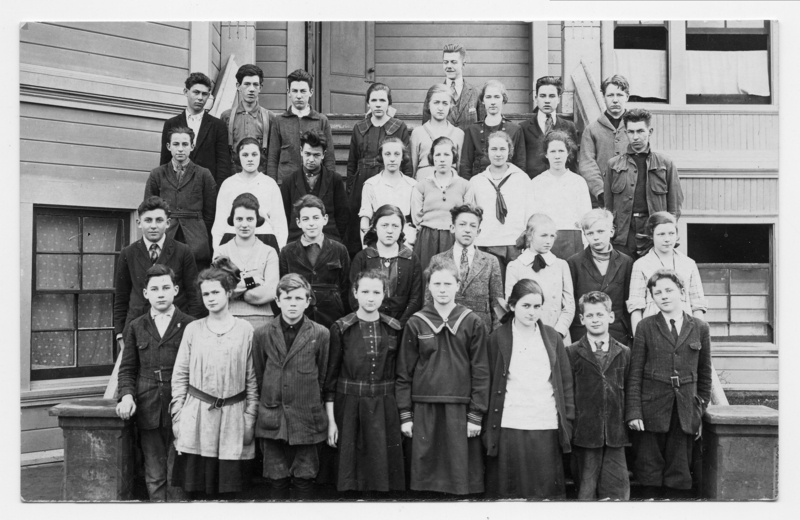 Harry C. Steinmetz, 7th & 8th grade, 1920. Edith Brown (Bickner) From Edith Bickner Brown, Oct. 1965. Description Sepia photo scanned as b & w. Same as 342a which has names attached. Transcription Harry C. Steinmetz, 7th & 8th grade, 1920. Edith Brown (Bickner) From Edith Bickner Brown, Oct. 1965.